Shaw, a man with no first name and a truly unique past, has a different agenda. Reluctantly doing the bidding of a secret multinational intelligence agency, he travels the globe to keep it safe and at peace. In this terrifying global thriller, these characters’ lives will collide head-on as a series of events is set in motion that could change the world as we know it. 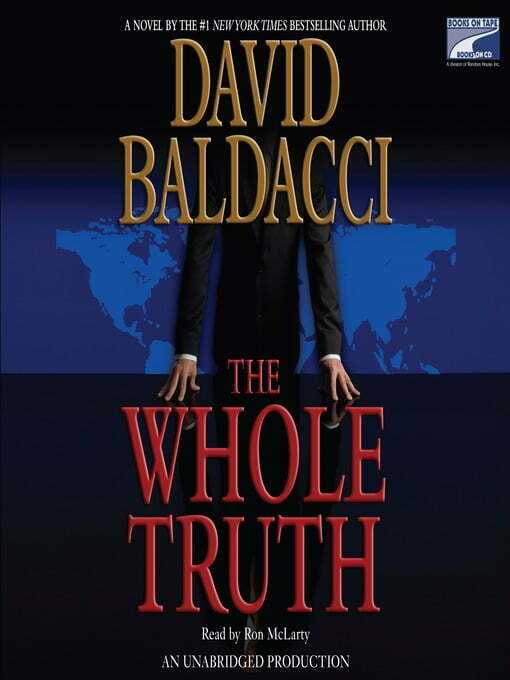 An utterly spellbinding story that feels all too real, THE WHOLE TRUTH delivers all the twists and turns, emotional drama, unforgettable characters, and can’t-put-it-down pacing that readers expect from David Baldacci–and still goes beyond anything he’s written before. The Whole Truth is available through eLibraries Manitoba.